The Reserve is home to the Big Five, as well as cheetahs, wild dogs and more! 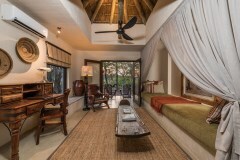 *Sabi Sabi Private Reserve also offers luxury stays at Selati Camp, Earth Lodge and Little Bush Camp. After checking in to Bush Lodge, enjoy a refreshing cocktail and a welcoming orientation. Settle in and take your time to appreciate the vibrant and eclectic mix of furnishings and décor garnered from all corners of the African continent. Enjoy a selection of high tea treats before you set off on your late afternoon/evening safari with your Ranger and Shangaan Tracker team, to view Africa’s wildlife in their natural habitat viewed from the comfort of your open safari vehicle. After a leisurely lunch, there is still time to enjoy the environs of Bush Lodge – perhaps enjoy a relaxing spa and massage treatment at Amani Spa or unwind by the swimming pool and viewing decks to observe regular wildlife that regularly visit nearby waterholes. Families are well-catered for at Bush Lodge and children of all ages can enjoy games at the EleFun Centre! 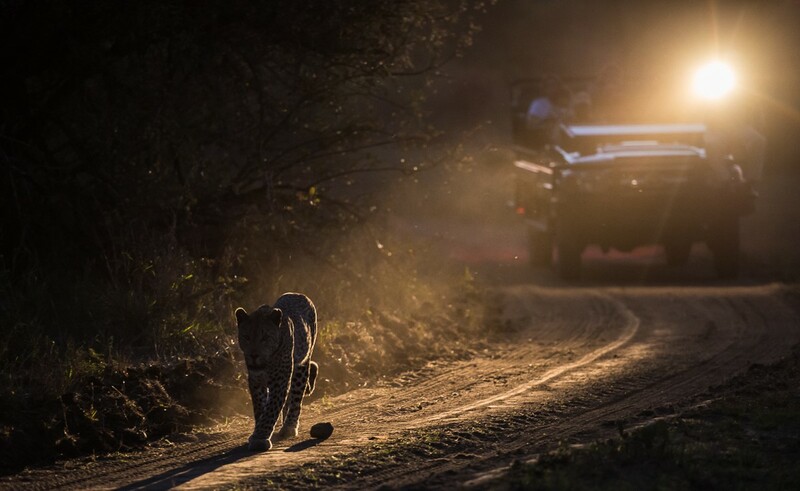 Spend your morning departing on a final game drive safari before it is time to leave behind this unforgettable stay and bid farewell to the amazing staff. Our representative will transfer you to Skakuza airport for your included scheduled flight back to O.R Tambo International Airport and in time for your outbound flight. To maximise privacy and intimacy, Bush lodge has 25 suites in total including 2 Mandleve Presidential Suites and Luxury Villas with each suite featuring en-suite bathrooms and al-fresco, glass-fronted showers, with wonderful views of the bushveld. The two swimming pools and large covered viewing decks overhanging the Msuthlu riverbed are an invitation to cool off in the filtered water or sit in comfort while spotting game at the well-utilised pan. An exquisitely furnished lounge, atrium and intimate bar area are perfect meeting places for friends old and new. As an extra indulgence, the at Bush Lodge offers the ultimate African Spa experience. All 21 Luxury Suites are air-conditioned with glass-fronted indoor showers, giving you a feeling of ultimate relaxation and freedom. A huge master bedroom with king sized draped four-poster bed leads onto an en-suite bathroom complete with indoor and outdoor shower and his & her baths. A second bedroom which leads into a private bathroom featuring a big bath and open ‘rain’ shower. 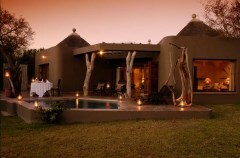 The Luxury Villas also include private safari vehicles. Internal flights are included between O.R Tambo International Airport and Skukuza Airport.